On Friday night May 18, during its 7:30 Kabbalat Shabbat service, Temple Beth El, Stamford will celebrate the ongoing connection between its youth and the State of Israel. 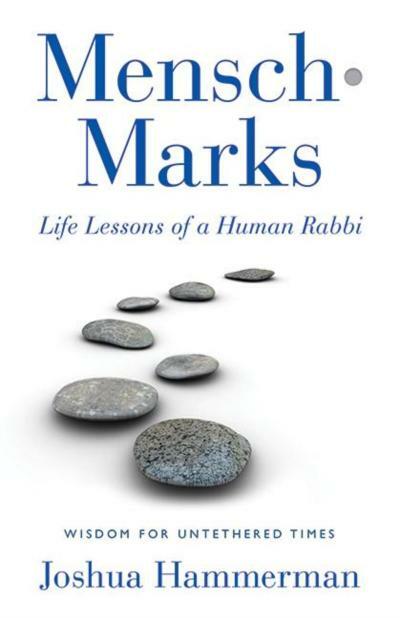 The congregation will be hearing from a panel of TBE teens who have recently been to Israel on the “March of the Living” and “Write on For Israel” programs, including Rachel Cohen, Lauren Pollack, Emilie Pollack, Sophie Koester and Brandon Temple. In addition, this weekend has been declared Birthright Israel Shabbat, celebrating the Bar Mitzvah year of a program that has transformed the Jewish landscape. Over 150 congregations from 42 states will be participating. 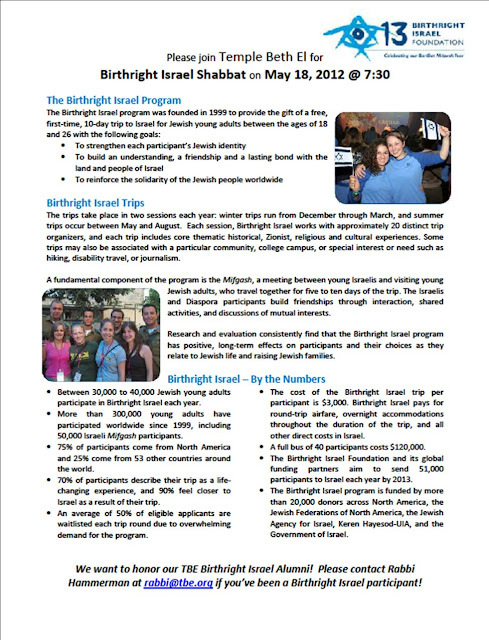 Birthright Israel is a free 10-day educational trip to Israel for young Jewish adults ages 18-26. More than 300,000 young Jewish adults from 54 countries have experienced Birthright Israel in 13 years of the program’s existence. At least onehundred Beth El young adults have taken advantage of the program. During the service on May 18, TBE will be honoring those Birthright alumni. TBE Birthright alums are invited to send in reflections describing what the tripmeant to them, to Rabbi Hammerman at rabbi@tbe.org. Birthright Shabbat is part of a year-long focus on Israel at Temple Beth El, which will include a musical celebration on June 3 and a congregational trip in August.